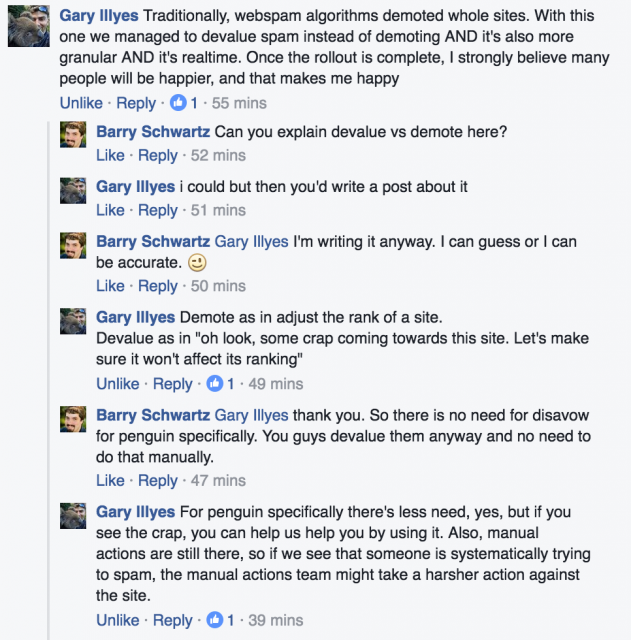 Tuesday I reported that Google said nothing changed with when you should use the disavow file when it comes to Penguin - well, that might not be true now. 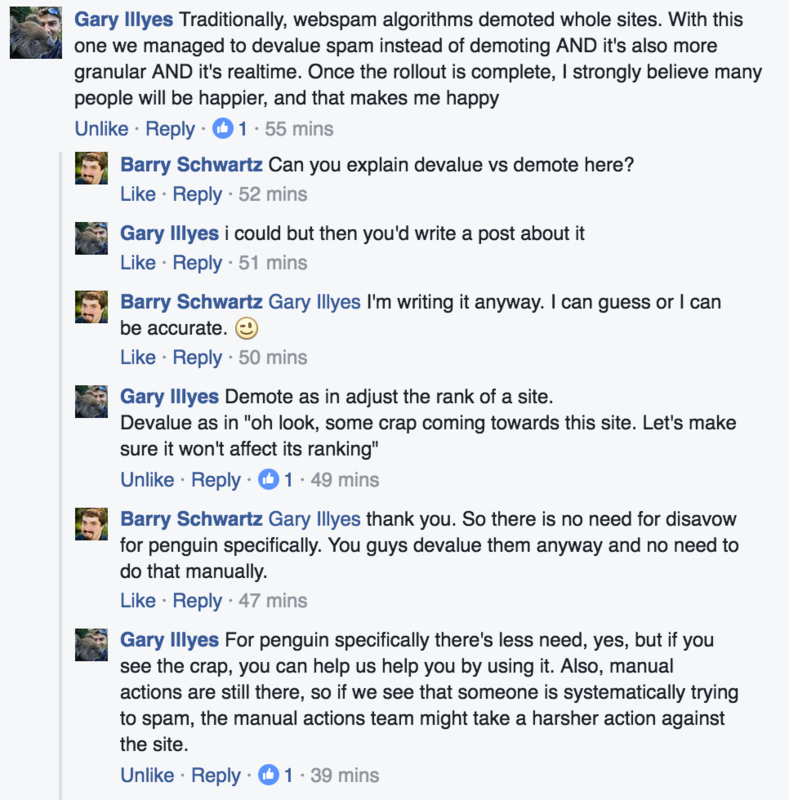 As I reported yesterday at SEL, with the new Penguin 4.0 launch on Friday - this new algorithm no longer "demotes" but rather "devalues." Demotes would mean that it would lower the rankings of a web site for doing something bad. Devalues means it would likely ignore the link spam and not downgrade the rank of the web site. It might feel like a demotion when a link is not counted. Instead of dropping down let's say 10 pages, you might only drop a page because those links no longer have any value but there is no additional demotion to your web site. So those who may be recovering now, because Google is rolling out Penguin 3.0 recoveries now - might not feel a full recovery - if that makes sense. That means a bunch of things but in terms of the disavow file - you likely do not need to use it anymore specifically for Penguin. Since devaluing the link is like ignoring the link, disavowing the link is the same thing. Of course, you still need it for other link penalties, like the manual actions but doesn't seem you need it for Penguin. Demote as in adjust the rank of a site. Devalue as in "oh look, some crap coming towards this site. Let's make sure it won't affect its ranking"
For penguin specifically there's less need, yes, but if you see the crap, you can help us help you by using it. Also, manual actions are still there, so if we see that someone is systematically trying to spam, the manual actions team might take a harsher action against the site. but could potentially go down in rankings had those links helped the site to gain higher rankings to begin with.